Pick up from your hotel. Departure for Gallipoli. We will visit: Kabatepe Museum, which contains relics from the campaign including original diary extracts and letters, Brighton Beach, the intended landing place. 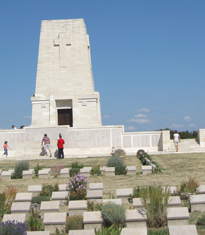 Lunch and swimming, Beach Cemetery on the southern tip of Anzac Cove, the landing place of the first wave of Australian and New Zealand troops and home to up to 30,000 troops during the campaign, Lone Pine Australian Memorial, site of the successful attack and capture of Turkish trenches by the Australians during the August offensive, Johnston’s Jolly where you will visit the original Allied and Turkish trenches and tunnels, The Nek, Chunuk Bair New Zealand Memorial, captured by the New Zealanders during the August offensive.